A new jacket: surely the most exciting sartorial purchase a man can make. We’re not quite sure why but as far as new clothes go, nothing else quite compares. Well, a luxury watch or a pair of British-made shoes come close, but there’s something extra special about picking up a brand new outer layer to see you through the cooler months in style. Still, there’s an enormous wealth of variety out there. Meaning picking a design that will keep you warm, looking great and retain its cool factor for decades to come can be tricky. But there are a select few tasteful top layers that really can tick each one of those boxes and more. Think of them as a sort of jacket capsule collection. The essentials. The key styles no modern man should be without. With this considered, these are the seven key jackets Ape believes every stylish man should have at his disposal. Those with even the faintest passing interest in menswear will be well aware that men’s fashion has long taken its cues from the military. Unsurprisingly, the bomber jacket is no exception to this rule. The style was first used by European Air Forces during the 1950s and 1960s. It was a result of advancements in aeronautical technology that meant planes could fly much higher and therefore conditions in the cockpit became much colder. The cropped length and lack of a collar were to allow a parachute harness to fit more comfortably, while the orange lining was designed to catch attention from the ground in the event of an incident. These days the bomber jacket is more commonly worn for its stylish looks than its functionality. The silhouette was championed by various youth subcultures during the 1970s and 1980s, but today you should pair one with slim-fit denim, a roll neck and minimalist trainers for best results. 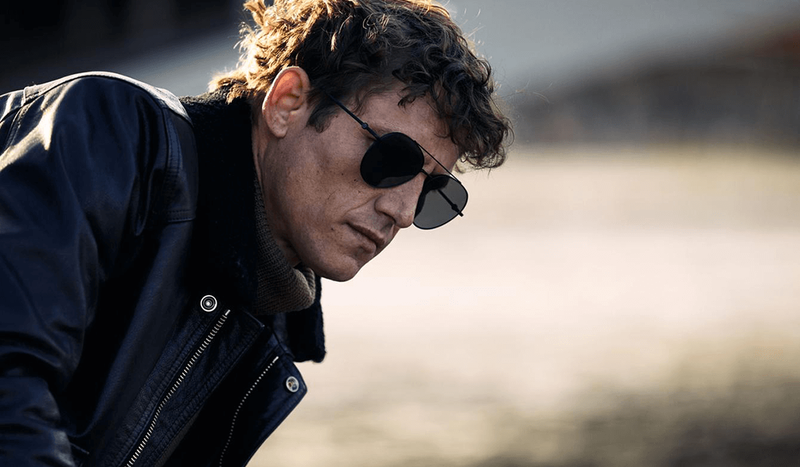 The Harrington jacket is a pop culture icon steeped in a rich British heritage – something that makes it an absolute must in every man’s rotation. Popularised by stars of the fifties, such as Elvis Presley and James Dean, this simple workwear design quickly became the hottest new thing in menswear. 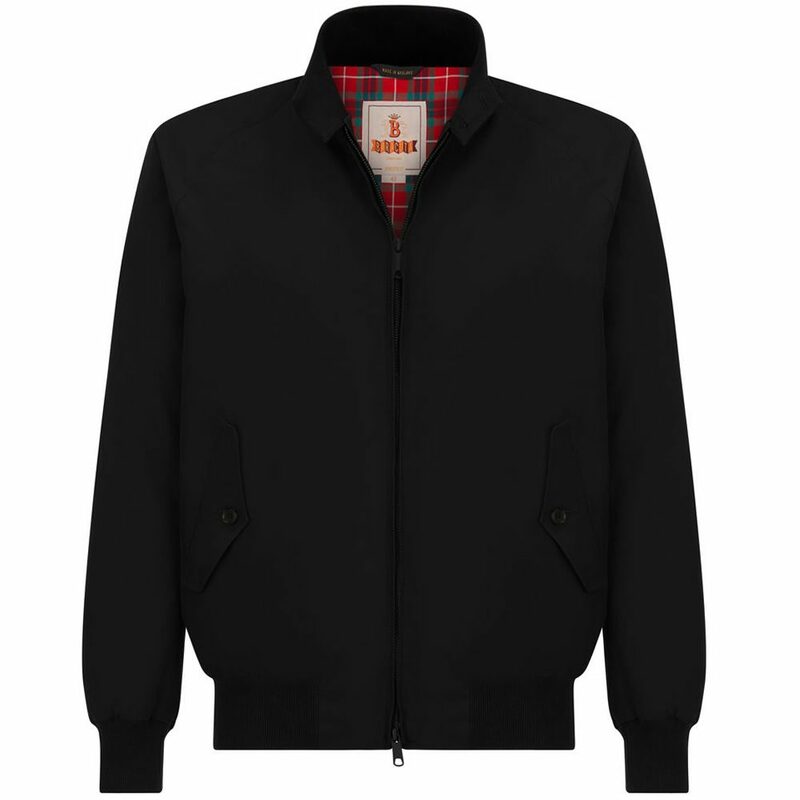 It all began in Manchester with a brand called Baracuta, which first designed the Harrington jacket back in the 1930s. It was lightweight, water resistant and featured a fashionable cropped length and stand collar. Before long, the brand began exporting its garments to the United States, and it was when one was worn by Elvis in the 1954 film King Creole that the style really took off. That first jacket was the Baracuta G9 and it’s a style that is still in production today. Later on, the Harrington became popular with subcultures including the mods and the skinheads, regularly accompanied by a Ben Sherman or Fred Perry shirt. In terms of styling, a black Harrington lends itself nicely to a white T-shirt, black jeans and a pair of Chelsea boots to give a nod to its rebellious, rock ‘n’ roll roots. It’s a common misconception that you need to have slicked-back hair and a cigarette perpetually dangling from the corner of your mouth in order to effectively carry off a leather jacket. However, so long as it’s worn with unabashed, balls-out confidence, almost anyone can nail it. The motorcycle jacket became a menswear icon after Marlon Brando wore a classic Schott Perfecto in the seminal 1953 movie The Wild One. Following its big-screen debut, it became a symbol of rebellion and masculinity, being picked up by rock and punk royalty over the course of the decades that followed. 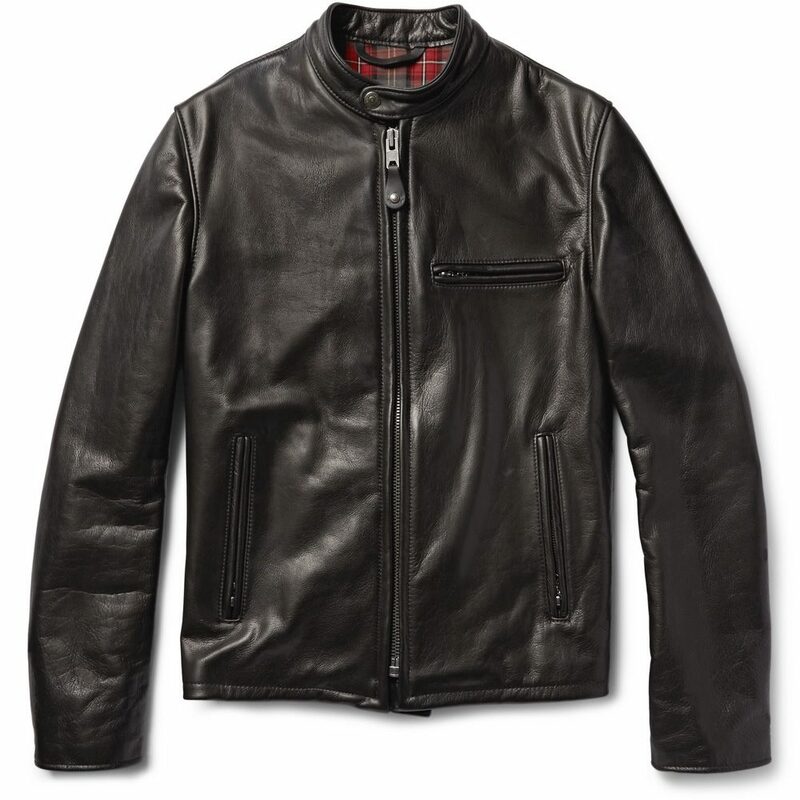 Still, pulling a leather motorcycle jacket off today doesn’t have to mean dressing like the fifth member of The Ramones. Avoid looking like you’re going to a Grease fancy dress party by balancing it out with cream-coloured knitwear, indigo denim and a pair of brown desert boots. Or even white trainers. When the mercury begins to plummet, keeping warm is key. But that doesn’t have to mean reaching for an arctic parka. With a quality down jacket in your wardrobe, you can stay insulated and looking sharp without having to dress for the North Pole. 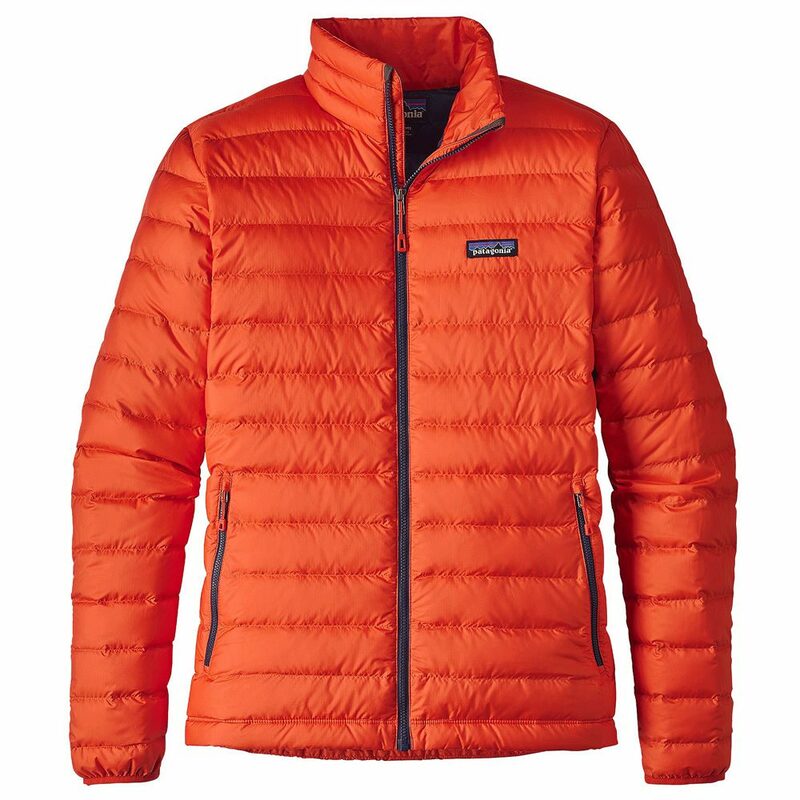 This jacket’s effectiveness in battling the chill lies in its unique design. Utilising feathery “down” insulation between two layers of fabric, the result is a garment which traps heat so the wearer remains warm inside, even on the frostiest of days. When it comes to choosing the right option, avoid anything that looks like it came from the props department of Kevin and Perry Go Large. Instead, opt for a lightweight, streamlined cut that’s trim but without sacrificing any fill power (that’s the density of the insulation, for the uninitiated). In terms of styling, throw it on over a knitted roll neck, chinos and desert boots. Or on the iciest of days, use it as an underlayer along with a wool overcoat. Staying warm and looking good simultaneously needn’t be a chore. Well, not when you have one of these workwear classics hanging up in your wardrobe, that is. 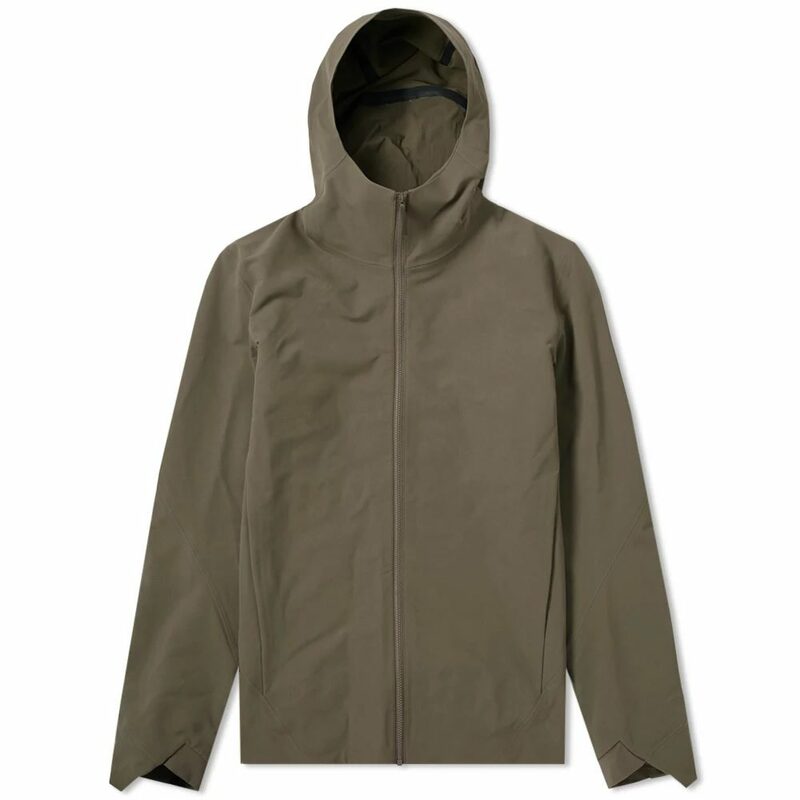 The chore jacket is rugged, durable, timeless and versatile. In other words: everything you want from a good piece of outerwear. 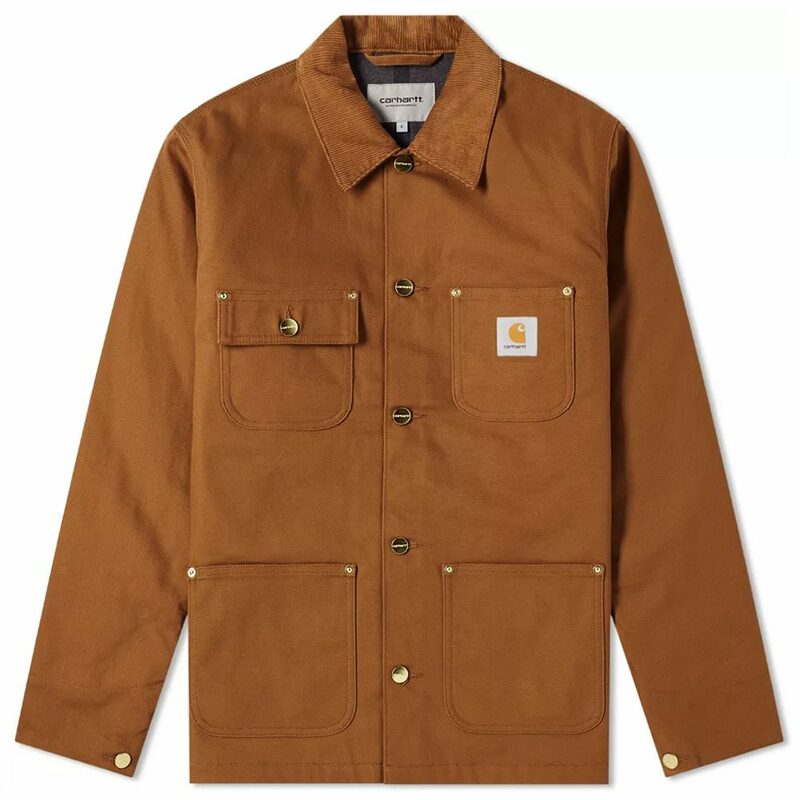 The chore jacket was designed in the early 20th century for manual workers as a means of keeping warm and dry. In those early days, the preferred materials were either heavy duck canvas or denim. Cuts were generally loose too, to allow for freedom of movement and alterations to be made more easily if they were needed. 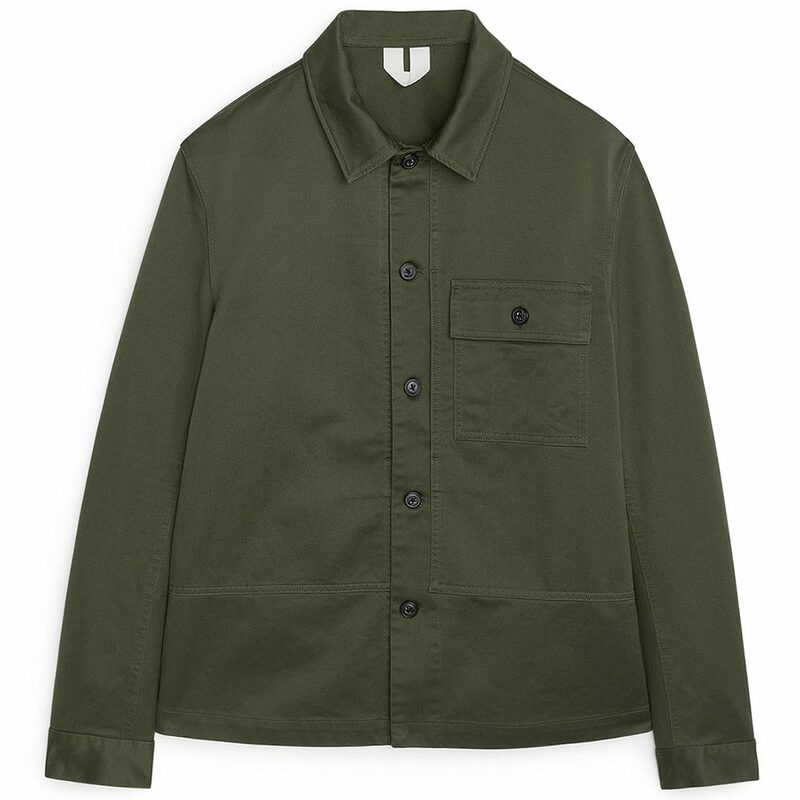 These days, the chore jacket still exists in something close to its original form, although the style varies depending on which brand or designer you choose to shop with. The main differences being slimmer cuts, premium materials and other modern details. The likelihood of finding yourself stranded on the north face of K2 while nipping out on your lunch break is highly unlikely. But if it were to happen it’d be nice to know that your outerwear is up to the job. That’s where the technical jacket comes in. These teched-out waterproofs are designed with the elements in mind, but don’t let that put you off. While once upon a time functionality came at the sacrifice of styling, it’s now a very different story thanks in part to the rise of athleisure. Today, there are a number of labels producing high-quality technical jackets that wouldn’t look out of place on a Fashion Week runway. Brand’s like Arc’teryx Veilance, Nike ACG and Acronym produce some of the slickest-looking outerwear on the market, and it’s more than capable of giving the likes of Patagonia and TNF a run for their money in the performance stakes. The rocky middle ground that separates summer and winter is notoriously difficult to navigate. Step out in a thick coat and you can guarantee it’ll be 20 degrees come lunch time. Leave home in a T-shirt and the temperature will no doubt plummet before you even reach the office. The answer? A simple transitional layer that falls somewhere in the middle. An overshirt is the perfect garment for the job. It’s light, it’s simple and it’s ideal for layering up or down depending on what the weather decides to do from hour to hour. 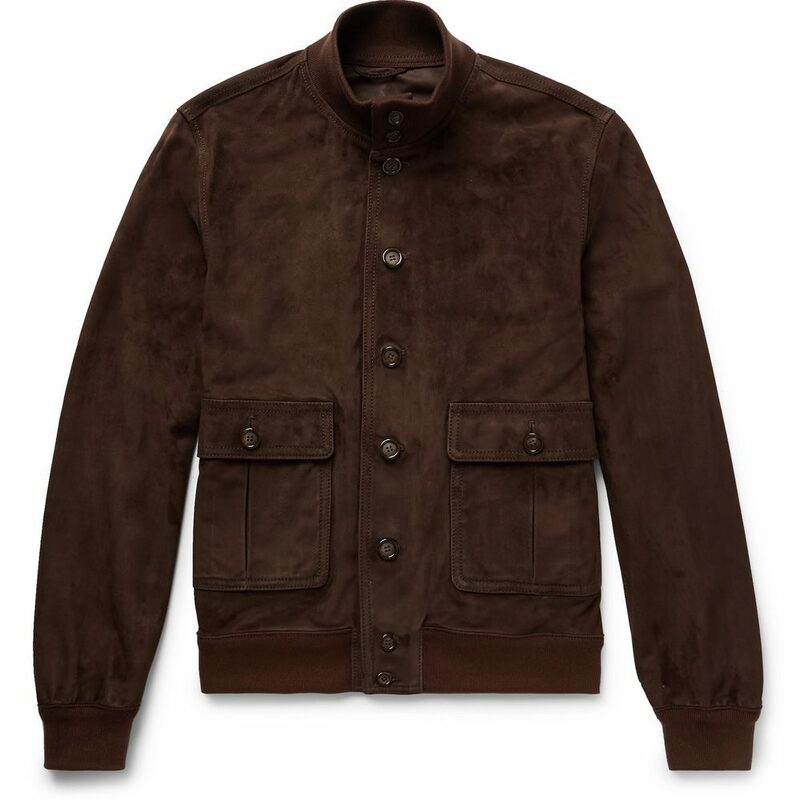 It’s a seriously versatile piece of kit and an absolute must in any man’s autumnal arsenal. Wear it on warmer days as a light top layer over a T-shirt, with cropped, wool trousers and a pair of Derby boots. Or layer it with a more substantial coat or waterproof when things turn sour. This is a garment you can wear year-round. So, if it’s value for money you’re after then look no further.